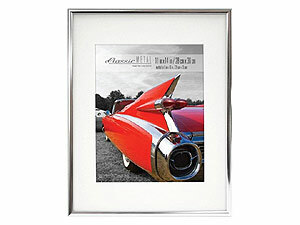 Contemporary style aluminum picture frame. Holds either 8x10 or 5x7 photos using included mat. Includes glass, backing and pull out easel. Contemporary style aluminum picture frame with cream color mat.